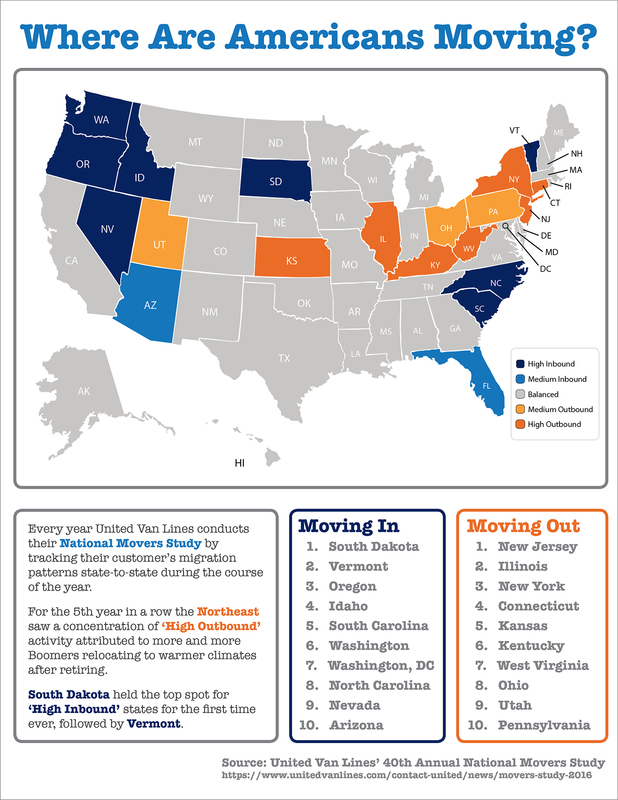 Where Did Americans Move in 2016? For the 5th year in a row, the Northeast saw a concentration of “High Outbound” activity. For the first time ever, South Dakota held the top spot for “High Inbound” states. Much of America’s outbound activity can be attributed to Boomers relocating to warmer climates after retiring. Sat. & Sun: By Appt.